A 1200 lbs capacity dump trailer. 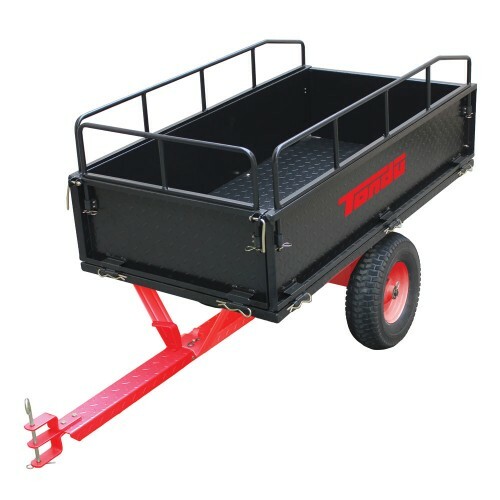 Ideal for unloading soil, gravel and sand, this dump cart from Tondu has a bed measuring 150 cm x 77.5 cm x 51.5 cm. It boasts a foot pedal release mechanism for easy dumping. Suitable for all makes of lawn tractor. Comes with a conditional 1 year warranty.